Can the Hyperion Data Logger Module be used with other wireless devices? No, it cannot. 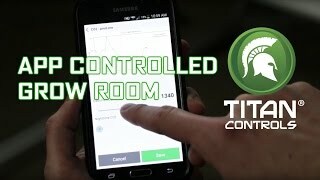 It can only be used with the Hyperion Series products from Titan Controls. It seems to take a long time to have the app activate my equipment in my room. Why? NIt can take up to 3 minutes for the signals to be recieved and transmitted to the Hyperion via the Data Transfer Module.